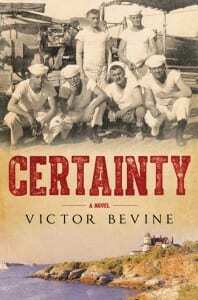 Blog Book Tour | “Certainty” by Victor Bevine a story based on truth from the world war era of the early 20th Century, this #histfic is powerfully evoking in breadth of scope! Acquired Book By: I was selected to be a tour stop on the “Certainty” virtual book tour through TLC Book Tours. I received a complimentary copy of the book direct from the publisher Lake Union Publishing, in exchange for an honest review. I did not receive compensation for my opinions or thoughts shared herein. When I originally read the premise for Certainty, I believe I interpreted the story a different way than I was meant too, as in most cases, when I am sorting out which blog tours to participate in, I sometimes have to go with a gut instinct rather than anymore substantial. What appealed to me about the premise is there was a story out of the recent historical past (as this is set during WWI) that not only could help people by being told, but could circumvent where history might have let the facts of truth blur the lines of justice and public perception. There are a lot of stories within the annals of history where this has happened many times over, and I am always keenly interested in seeing how a writer elects to tell the story and allow the truth to come back into the light. Good or bad, history and truth have a way of being revealed, and if a writer can take a bold step towards achieving that goal, I find it is something to commend. The story opens in a most auspicious way as to lead with a foreshadow of where the events of the novel surmount to lead a minister to jail; yet there is a curious bit of intrigue to how the actions lead into this conclusion. My mind was whipping around thoughts and ideas of how what happened to have led to such a calm exit for the minister, save the tarnish of his reputation about to fill the pages of newsprint. A most curious beginning, as a full-on flashback sequence begins as we pick up where the story began months prior to this one particular scene playing out in a thickening mug of heat and humidity. The manner in which William (a lawyer) and Reverend Kent was innocent enough, as Kent was in the process of setting up a way to minister to the overwhelming large populace of sailors who were overwhelming the small towne of Newport. Kent had devouted part of his work as a minister to care and pray over the dying men who had caught a disease that they could not recover from and were about to cross into the next life. The nurse who watched over them was a man who was misunderstood by most, yet it was his self-less act to care for them on the footheels of death that gave his life the most definition of all. He showed the most humility in knowing the greater truth to life and death, as many of the men he cared for were ones who had bullied him in the past. Lessons of life and of ethics are knitted into the story as Bevine shares his take on this historical narrative. He doesn’t simple tell the story everyone has heard of in the past, but rather he humbles the characters inside the story itself by giving them the full measure of coming alive on the page. The undercurrent of the story is the most disturbing for me, as I cannot believe there was an op to seek out certain types of people from being found out of a crowd. What didn’t surprise me is that there was an overwhelming misunderstanding amongst gender classes when it comes to sexuality and a person’s right to dignity and civil rights. It was a different era back then, and the cause for acceptance is still being waged today. A lot of the chapters hit me quite hard as the whole injustice of the situation was quite shocking and I cannot say that I realised exactly where this novel was going to head when I marked myself down for the tour, but I was hopeful the ending might lead back towards the light or a resolution of justice. I simply do not appreciate anyone who is bullied for whichever reason because hatred grows out of ignorance. Although this is story is writ and rooted in the full breadth of historical fiction, I do not think everyone will appreciate the emotional tides it will put the reader through whilst reading it. It is an intense read, and not an easy one to progress through if you stand on the side for civil rights and liberties as much as for equality. It is a good story for those who want to dig into the history of how supposition and ignorance can lead to life changing situations that will affect a man’s life in such a way as to alter his ability to live with freedom. I personally found myself more than a bit uncomfortable with the novel, and decided not to continue to read it, because what I didn’t enjoy finding is how prejudice cannot only blind the law but how it can change a man’s perception on what is just and fair in reality. Although this is a story that merits being told and read, I am simply not the right reader for the story overall because what was most unsettling I believe for myself is how poignantly real Bevine wrote the story. It is a credit to what he gave to Certainty but for myself personally, I know I made a mistake in seeking this to review as it not a story I would normally feel able to read. I simply felt horrible for everyone who was involved and the most sickening part of all is how none of it had to happen at all. Not every story is for every reader. You can tell the depth of Bevine’s research on this particular subject of the novel’s scope, as at some point as he was writing the novel, the research fell away and only the story remained. It is written in a very tightly conceived fashion as to not leave any room for speculation nor imagination on what happened or even in the sequencing of how it all came to unravell. There is a sort of eloquence in his phrases and the companionable way of how he discloses the character’s back-stories as much as their personalities, to alight their presence in the forefront of your mind as you read the chronicle of events which knitted the novel into existence. Based on actual truth and person who had lived, Bevine finds a balance between being a historian, a writer, and a story-teller. The scenes at the hospital are thankfully tempered a bit for those who might be sensitive to medical fiction (such as I am) but anyone who has read my previous entries for historical fiction intermixed with military fiction will not find this a far cry away from what I can personally handle reading. He breathes realism into his scenes with the sick and dying, but also brings in compassion, as much as a questioning of God’s will. He gives the Kent the freedom to share his own concerns on humanity and on death, but without overly so, in such a way as to reveal one man’s walk in faith and the questioning of circumstances out of suffering. See what I am hosting next by stopping by my Bookish Events page! 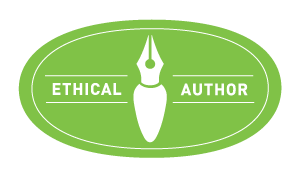 I created a list on Riffle to share the books that I simply could not become attached to as a reader myself, but stories which would benefit a reader to find them, and appreciate them for what each writer gave to their story. For me, the reason I included Certainty is because it was not only a difficult read for me but an uncomfortable one. I simply misunderstood the premise and could not continue with where the heart of the story was going to lead me. 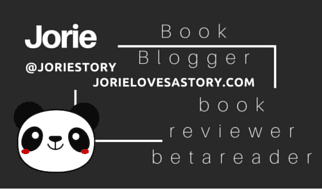 Therefore, this is now listed on my Riffle List entitled: Stories Seeking Love from Readers. I positively *love! * comments in the threads below each of my posts and CommentLuv only requires Email to leave a note for me! Kindly know that I appreciate each thought you want to share with me and all the posts on my blog are open to new comments & commentary! Short or long, I appreciate the time you spent to leave behind a note of your visit! Return again soon!